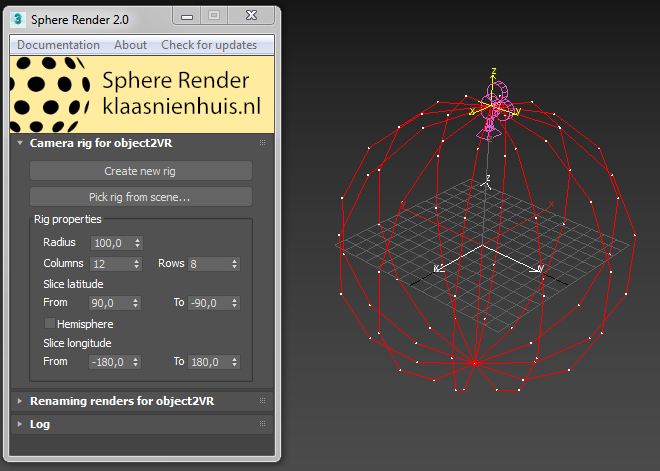 SphereRender is a script for 3ds Max. It helps you to render a series of images in a spherical pattern compatible with Object2Vr. Object2Vr is software which can create interactive turntables from these rendered images for online use.